We have a ton of great options of Party Tableware items that you can get for your next event. Make sure your tables are properly covered with colors that tie into your overall theme and everyone there has the proper tools for eating food. Look through our party tableware options today and you will not be disappointed with our selection! If you are going to have food at your next gathering, you should probably get some plates and silverware from our site. No matter what type of event you are hosting, if people are going to be eating, there are certain amenities that they will need to make that happen. 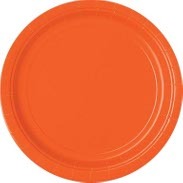 Most of the time when people host big parties, they like to get tableware that has fun colors. Whether it is to play into your school pride for graduation or patriotism for your country�s holiday, it always makes things a bit more exciting when all of your tables play into the theme. Make sure you get everything you need at affordable prices and never pay too much for shipping. You can get it all in one place, right here. When you are really trying to throw down and having a huge barbecue, you should probably spend most of your money on food and as little as possible on party tableware. That is why we carry so many items at such cheap prices. We do not want your event to suffer because you had to restrict other expenditures given your budget. Buy these great items and your party will be able to be off the hook. 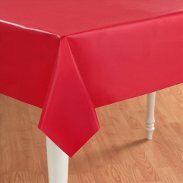 Make sure people are not forced to eat with their hands and your tables do not get ruined because of spills. Our products will definitely keep you covered. Our goal is to help party-throwers of all demeanors get their guests excited and having fun. We want to make sure you are fully covered. Buy you party tableware from us today and you will definitely not be disappointed.